The Sprint version of Samsung Galaxy S4 (SPH-L720) has started receiving Android 4.4.2 KitKat update with firmware build number L720VPUFNAE. Samsung Galaxy S4 (Sprint) SPH-L720 users who have already updated their devices with Android 4.4.2 KitKat, may root their devices using the tutorial below. 5. 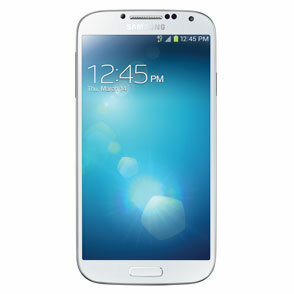 The CF-Auto-Root file works only on the Sprint version of Galaxy S4 (SPH-L720). Applying this to any incorrect variant might brick the device. Verify the model number of the Galaxy S4 by navigating to Settings >> About Phone. Step 1: Extract the CF-Auto-Root and Odin 3.07 files using WinRAR/7-Zip/WinZip or any other extracting tool. Step 2: Switch off the Galaxy S4. Then boot into Download Mode by pressing and holding Volume Down, Home and Power buttons together until a construction Android robot icon with a warning triangle appears on screen. Now press the Volume Up button to enter Download Mode. Samsung Galaxy S4 (Sprint) SPH-L720 running on Android 4.4.2 KitKat is now rooted successfully. Open the app drawer of the phone and check for an app called SuperSU. Verify the root status of the device by downloading Root Checker app from Google Play Store. wow! Rooted 17 days ago; loved it will all root apps, then got greedy did qbking777 enable hostspot and got boot lock on yellow sprint screen, long story, spent 6 hours fixing it trying all kinds of things: updated to 4.4.2 for one day, then this...worked perfectly and took 2:05...thankyou!!! Did you use this method to get off the sprint yellow screen? I'm on stock rooted mk2 now. Do I have to update first then reroot or can I just cf auto root through Odin directly from mk2? Will this trip Knox? I haven't seen a definitive answer. I want to stay rooted stock. Can anyone help with this one? I had a stock, rooted rom. I did the OTA and have lost WIFI. I'd lost it before when I did the 4.3 OTA update and manually flashed the modem using ODIN. I tried doing the same thing (to reinstall the modem) but to no avail. I try to push the wifi quick link and from the settings and it quickly turns back off. HELP! Will this wipe your data? Went thru all steps and get a pass but super su is nowhere to be found? When I download it and use root keep it says I'm not rooted! ?